The upfront capital investment required for a new lease can be substantial. No matter if it is 1st or 2nd generation space, there will most likely be substantial buildout required before the space is suitable for occupancy. In order to entice tenants to lease space in their building, most landlords will offer some type of Tenant Improvement Allowance. This allowance helps to offset the upfront capital investment required before the tenant is able to occupy the space. But many times, the improvement allowance the landlord offers up just isn’t enough. There are a variety of reasons a landlord could be reluctant to increase this allowance. If you can identify which reason(s) the landlord is most concerned about, you will be in a better position to negotiate a higher allowance. Here is a list of 4 of most common things landlords consider when giving a tenant a improvement allowance (I am sure I am omitting all the possible reasons). Simply stated, does the landlord have access to the cash needed to pony up a larger improvement allowance? Is the landlord a REIT? A private individual? A bank or special servicer who took ownership of the property through foreclosure? Many times you won’t ever know the landlord’s financial capabilities, but knowing who or what they are can help to better understand their capital constraints. The landlord is always looking to maximize the return on his original investment. This return is subject to market rental rates in many cases. Landlords don’t usually pull their proposed rental rates out of thin air, They are subject to market conditions in the same way everyone else is. Likelihood of Repayment. What level of confidence does the landlord have he’ll be repaid on this incremental investment? This comes down to variables such as tenant creditworthiness, the volatility of the tenant’s business and industry and lease terms like an early termination clause, etc. Break Even Period. For every additional dollar the landlord investments in the property, he is going to consider how long it is going to take to get that money back. In other words, how many months will it take for him to recoup the improvement allowance from the income stream of leasing this space. You most likely never know what other investment opportunities a landlord has on his plate, but you may have a general “guestimation”. If they can get a higher yield buying a bond than giving you more improvement allowance, you’ve got your answer. Once you think you have successfully identified the landlord’s (largest) concern(s), here are 3 approaches to consider using in order to negotiate a higher improvement allowance. 1. Offer to amortize a portion of improvement allowance. This approach helps to resolve #’s 1, 2 and 3 above. It structures a way to repay the allowance a formal fashion, increasing both the return on and return of the landlord’s investment. Ultimately, it increases the cost of occupancy for the tenant, but it does help to reduce the tenant’s upfront capital outlay. If your business can commit to a longer term lease, this solution is often viewed favorably by landlords and helps to solve #1 and 2 above. Here’s why – longer term leases offer landlords more stable and predictable cash flows. Longer term leases make it easier to forecast future cash flows, and delays his exposure to future re-leasing expenses. For any investor, credit worthiness is crucial. Not every tenant is a Fortune 500 company. For smaller businesses and business owners, landlords will request detailed financial statements and/or tax returns in order to underwrite a tenant’s credit worthiness. The reason for this is directly related to #3: return of investment. In offering up an improvement allowance, the landlord is effectively making an investment in your business, as much as he is investing in his property. One way to assure a landlord he’ll see his money again, some type of credit enhancement. There are a couple of ways this enhancement can happen. 1. A Lease Guarantee. If the lessee is an entity other than the parent company, and particularly if the entity is single-purpose, its capital structure will be closely scrutinized. Should the landlord have concerns about the financial strength of lessee, an additional guarantor (i.e. the parent company, or the business owner personally) may be needed in order to negotiate an increased improvement allowance. This additional level of financial backing helps the landlord gain comfort this additional investment is secure. 2. A Letter of Credit. An alternative to an additional guarantee is for the tenant to provide a Letter of Credit (LOC). A letter of credit is a pledge by a bank, or other financial entity, made on behalf of a tenant for funds to be demanded by a landlord in the event of a default pursuant to the specific terms of a lease agreement. In the current financing environment, Letters of Credit will most likely restrict the same amount of cash as the letter of credit is worth. In other words, if you offer to post a $100,000 letter of credit for the benefit of a landlord, the issuer of that letter of credit (your bank) will most likely require you maintain a minimum of a $100,000 account balance. But, for companies that maintain consistently high account balances, this may not be an issue. Additionally, a cash deposit at a bank is certainly more secure than handing over the cash to an non-FDIC insured landlord. This letter of credit is also gonna cost you – typically 1 to 2% of the face value of the LOC, which will add to the cost of occupancy for any lease requiring an LOC. This post definitely not an all-inclusive list of options for negotiating a higher improvement allowance, but these examples are some of the more common ways do just that. If you are out in the market looking to find office space, you may have learned plenty about office space for rent. Your head may be swimming with all the details, but now is not the time to lose your head. You need to be clear-minded when negotiating an office rental agreement. It’s one of the biggest expenses you’ll face in your business. We’ve got five hidden office space costs to be aware of when looking for an office for rent so you can be prepared when the time comes to negotiate with the Landlord. Landlords can be quite skillful at hiding certain office space costs. You and your advisers have to be equally skillful at uncovering them and negotiating in your best interests. Base Year Expense Stop: What’s that you may ask? It all depends on the base year they want you to pay for. For example, you sign a base year contract for 2013 and in 2014, rents went up by $2 per square foot. If you have a location with 1,000 square feet, for example, then you will be paying an extra $2,000 for that location the following year. Since it’s 2015, you’ll want to negotiate for at least a 2014 base, preferably a 2015 base so you can keep your rates from going up so quickly in subsequent years on the lease. Upgrades: A second hidden cost is paying for upgrades. A landlord may want to charge you, for example, for an Americans with Disabilities’ Act (ADA) compliant bathroom. That can cost more than $10,000. You want to get a lease where the landlord makes the space habitable for you and your clients without you paying for it. Maintenance Costs: Third, you’ve got to wonder about maintenance and upkeep costs. Who’s responsible for taking out the trash, for example? If it’s you, then you don’t have to pay for it, but you may be expecting the landlord to do this for you. If he or she does, find out how much cost is involved. Also, simple maintenance tasks should come under the landlord’s jurisdiction. You don’t want to be renting a space and always have to pay for repairs. Make sure you get it in writing before you sign and make sure the price is reasonable. Improper Expense Cost Pass-through: Fourth, the landlord may try to charge you an inappropriate amount for operating expenses like utilities and parking lot lights. Make sure that all the expenses make sense and add up to what you should be paying. You can ask to look at samples of past utility bills to ensure that you’re not overpaying. Negotiated properly, this can save you a few dollars per square foot over the life of your lease. Restoration Requirement: Finally, a landlord may want you to do the bulk of the work to make the place inhabitable for the next tenant. Watch the end of lease life portion of your contract. Make sure you are not expected to do major repairs. You just want to move your stuff out and that’s it. Such end of term repairs should not be your responsibility. We hope these five tips on hidden office space costs will help you plan better to negotiate for your office rental. We hope you will contact us with questions or if you need assistance in finding your next office. Medical office space users and physician practices don’t typically relocate to new buildings as often as general office tenants. However, the competition for new patients is increasingly steering physician practices to non-hospital campus properties as they seek more conveniently accessible locations for their patient base. This trend is evident in the increased development of smaller suburban medical office projects and urgent care clinics you see in any significant metropolitan community. Furthermore it is increasingly common to see healthcare providers take space in smaller community retail centers near hospital campuses. Medical users also tend to sign office space leases with longer terms than your typical office tenant, which puts them in the marketplace for office space less often. While many of the same sound principles required to lease general office space apply to healthcare, there are many nuances and issues that are unique to medical users that should be considered. One of the first decisions they should make is to retain a broker with experience in leasing medical office space. Hiring a tenant representative is prudent for any tenant. 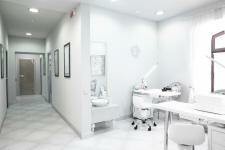 However, brokers who have experience in leasing medical office space can be particularly helpful because they may be aware of available buildings and space that have not come to the attention of the practice and they understand how to structure terms and covenants of the lease agreement to fit the unique needs of the healthcare provider. 1.Use Issues: Medical tenants use hazardous materials and generate biomedical waste. Medical tenants can use X-ray machines, CT scans, and other machines which may generate harmful radiation. As a result this creates special requirements that need to be accounted for in the lease document to ensure compliance. 2.After Hours Access & Utilities: Medical tenants often may see patients after normal building hours and in the case of urgent care clinics operate on a 24-hour basis. Paying special attention to how the utilities are accounted for after normal building hours can save un-necessary utility expenses. 3.Compliance with Americans with Disabilities Act (ADA): Patients are more likely than the general public to have special access needs. Buildings containing health care providers are more likely to receive ADA scrutiny. As a practical matter, medical tenants to pay special attention to the ADA clause contained in the lease document. leases provide the landlord the right to re-enter your space to show the premises to future tenants, inspect for compliance with the lease and allow access to make infrastructure repairs in the lease premises and elsewhere in the building. Yet health care providers need to limit the landlord’s access to examining rooms and other areas during certain hours of the day as well as non-access to patient records. 5.Anti Kick-back Issues: Safe harbors created under the Federal anti-kickback laws create special requirements for leases between medical tenants and properties that are hospital or physician owned. Proper compliance and documentation must be addressed if the landlord-tenant relationship exists. 6.Exclusivity Provisions: An exclusive use provision is a lease term in which the landlord promises not to lease any other space in the development to a party whose intended use would be in direct competition with tenant’s use of its space. In medical office buildings it can be prudent to get exclusivity for your specific specialty practice. ◾Term: As a result of the typically higher tenant finish out costs it common for medical office leases to be 7-10 years in term as opposed to 3-5 years for general office tenants. The longer term should result in a larger tenant improvement allowance for the Landlord. ◾Architect & Contractor: Landlord’s generally like to have tenant finish work done by contractors with whom the landlord has a prior relationship and in some cases design professionals as well in order to maintain control of the process. However, it is critical for the tenant to obtain the right to use his contractor and design and construction professionals who are experienced and qualified in medical design and build-out as well as maintain some control in the management of the design and construction process. ◾Relocation Provision: It is common for office leases to contain provisions requiring the tenant to consent to a substitute premises should the landlord decide that it is in the landlord’s best interest to move the tenant from one suite in the building to another. Because of the specialized build-out needs of the medical tenant, medical tenants should resist these provisions. ◾Liens: As a result of the cost of medical leasehold improvements, physician practices often finance leasehold improvement costs above the landlord allowance as well as medical equipment purchases. Lien rights provided to the Landlord should be subordinate to the Tenant’s lenders for medical equipment purchases. ◾Restoration of Premises: Virtually all office space and retail leases contain provisions addressing the Landlord’s and Tenant’s rights and responsibilities regarding restoration obligations at the end of the lease. These provisions need to dovetail with the special situation of a medical tenant. For the medical user real estate is a significant multi-year financial commitment, utilizing a knowledgeable real estate advisor and careful planning can insure selection of the right location and a well structure a transaction and lease agreement to fit the unique needs of the healthcare provider. .